We appreciate your patience and understanding as we worked through a few kinks that came to our attention this weekend when we tried to kick off this event. Collectively, we decided it was best "Re-Launch" today, Cyber Monday! 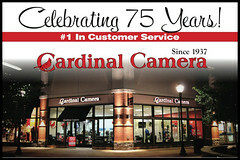 We know so many families were super busy shopping, decorating, and enjoying the holiday weekend. No worries though, you did not miss a thing. 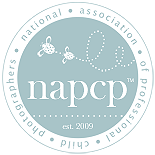 We are giving everyone the opportunity to see the products we featured on Day One, again today! Those that previously commented and already donated need not worry. We received them. THANK YOU!! That being said, let me reintroduce my first featured item. 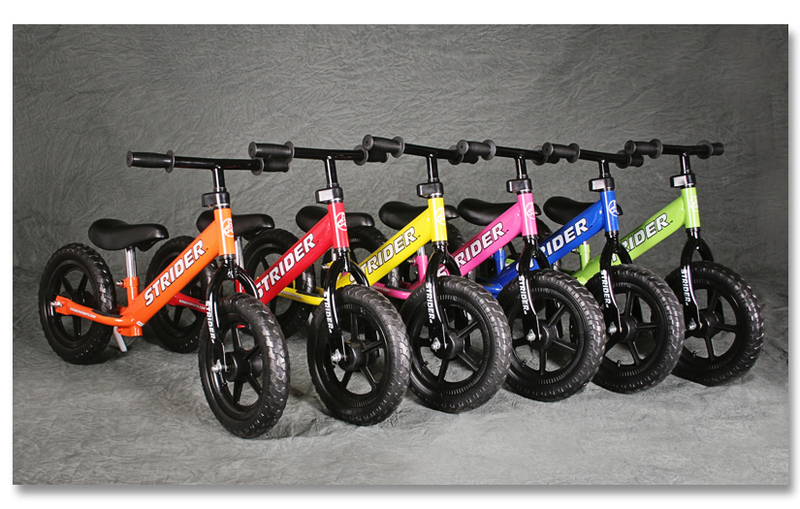 Today, you will have a chance to win one of these AWESOME STRIDER BIKES in the color of your choice!!! I am very excited to be featuring these super cool bikes on my blog today. What little one would not want to see one of these waiting for them under the Christmas tree? These bikes help your child learn to ride a bicycle easily and safely without training wheels. Strider PreBikes help your child learn balance and coordination BEFORE pedaling, which develops wonderful self confidence. Riders can start on a Strider as soon as they can walk. Charlotte above, started on hers when she was 19 months and rode her first pedal bike at 3 years old. She never needed training wheels. ● Kid and parent-friendly EVA polymer tires - no flat tires! 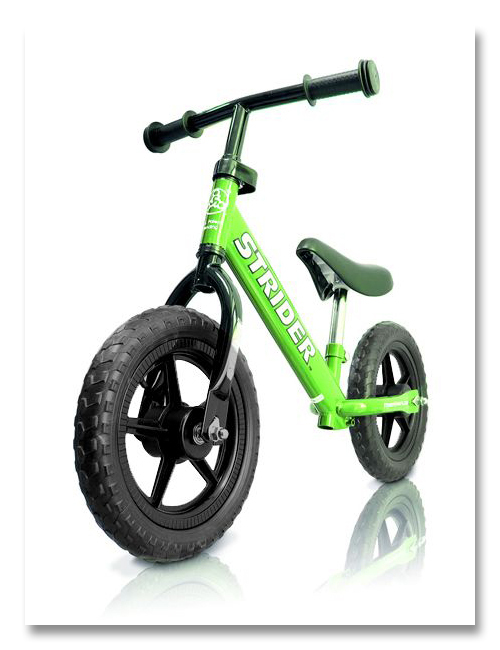 Striders can go places training wheels cannot and are much safer. 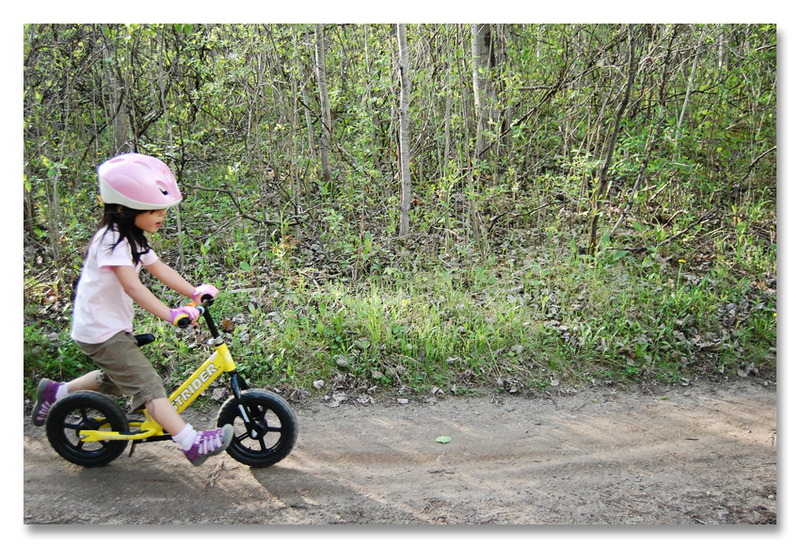 Your child learns to lean when riding the Strider so they learn to balance. There are no scary training wheel tip-overs. The balance your child learns carries over into everyday life - whether it be dance, soccer or other sports. You can see some pictures of the Strider in action by clicking HERE. and because the proceeds are going to benefit Half the Sky, the winner will also get one (1) XL seat post ($16.00 Retail Value) for when your kiddo starts to grow! The current color in stock is blue. Adam’s Bike Shop will work with you to ensure that you get the color you want. If would like one of the other colors shown or listed above, there will be a 2-3 day wait due to shipping. Are you ready to try to win one of these fun little bikes for a special little toddler in your life? To win this item, or any of the items featured for this event we ask that you consider a minimum donation of $5.00. But, it is also possible to enter without donating. To do that, leave a comment that includes your name, email and mailing address so we can contact you if you win. All winners must have a shipping address in the United States or Canada. 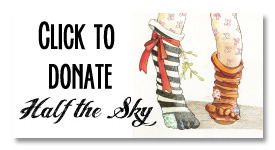 If you choose to donate, simply use our "CLICK TO DONATE" button below and you will be directed to the Half The Sky donation page that was set up for this event. 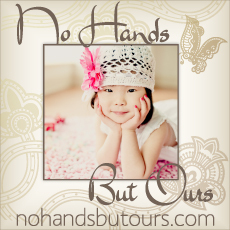 Your donations are going directly to Half The Sky, which is a non profit organization that makes a difference in the lives of many children that reside in orphanages throughout China. You have until Tuesday, November 29th at 11:59pm to enter. A huge THANK YOU to Adam, of Adam's Bike Shop for making this generous donation. Not only is Adam an adoptive father, he and his family also support and do volunteer work for Half The Sky. Make sure you stop by both Stefanie and Diana's blogs to see the fun items they are featuring today. and Friday from now until December 23rd! I sent in a donation today, please enter me in the contest. Thank you! I love this!! Spreading the word on my blog!! Donated! Love, love, love what you're doing! Awesome. Going to donate too. 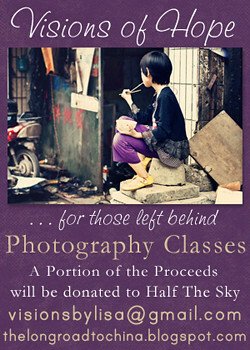 Both my littles were with Half the Sky--I love this organization with all my heart! Spreading the word on my blog. Thank you again for doing this! What a great way to kick off the fundraiser! Can't wait to see what other goodies you have in store! Donated. Love what you're doing. Hope you reach your goal! 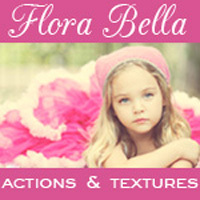 I sent a donation in honor of my nieces J. and H.
Such an awesome organization; bless you ladies for doing this for them! Donated! What a wonderful way to raise funds and to look forward to upcoming surprises. I clicked and donated! Hi Lisa, just donated! So excited about this event..what a great thing you three are doing! Hope to win this for my little Sloan and help you meet your goal! It sure beats the way my brother taught me how to ride a bike-pushed me down a grassy hill screaming then let go! Ha! Just donated, hope you can meet your goal! I donated $5 again. half the sky is my favorite! Donated! Going to get our HTS angel in jsut over a week! Just finding out about this today and I donated. My daughter would love one of these bikes!